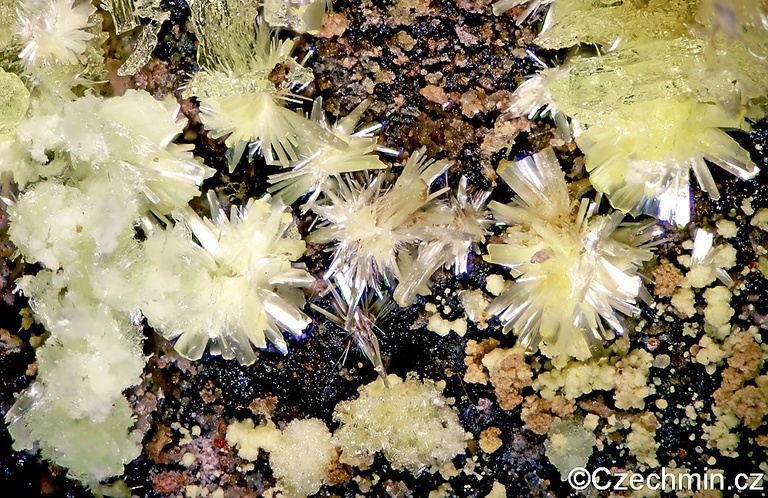 Rabbittite: Mineral information, data and localities. Named by Mary E. Thompson, Alice D. Weeks, and Alexander M. Sherwood in 1954 after John "Jack" Charles Rabbitt [November 3, 1907 Butte, Montana, USA - June 10, 1957 Washington, D. C.], geochemist of the United States Geological Survey. This page provides mineralogical data about Rabbittite. Schröckingerite 4 photos of Rabbittite associated with Schröckingerite on mindat.org. Liebigite 2 photos of Rabbittite associated with Liebigite on mindat.org. 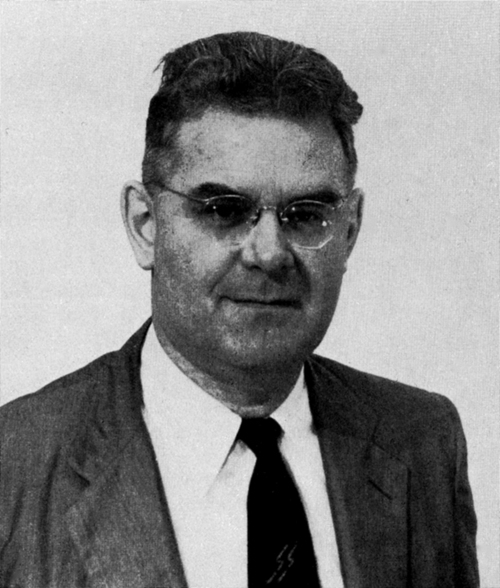 American Mineralogist (1955): 40: 201-206. Igor V. Pekov and Anatoly Kasatkin analytical data (2011); Pekov, I.V., Levitskiy, V.V., Krivovichev, S.V., Zolotarev, A.A., Bryzgalov, I.A., Zadov, A.E. 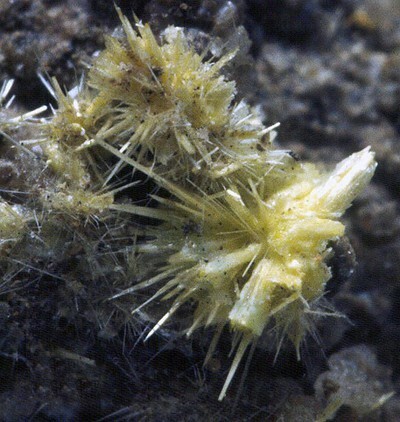 & Chukanov, N.V. (2012): New nickel-uranium-arsenic mineral species from the oxidation zone of the Belorechenskoye deposit, Northern Caucasus, Russia: I. Rauchite, Ni(UO2)2(AsO4)2.10H2O, a member of the autunite group. 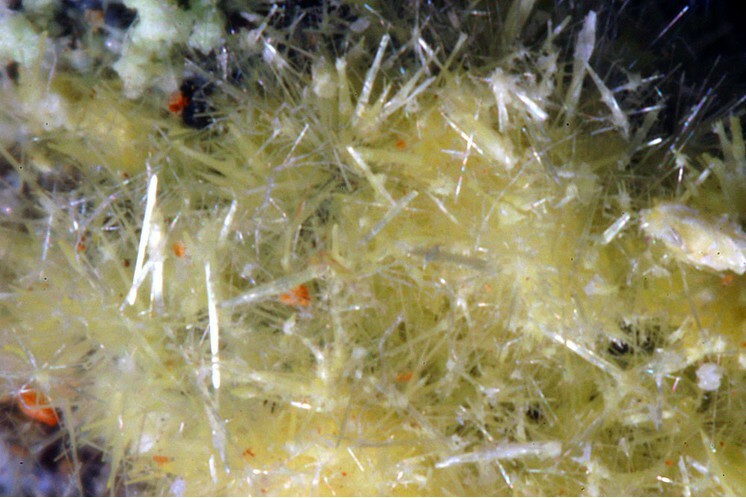 European Journal of Mineralogy, 24, 913-922.